He loves playing fetch. 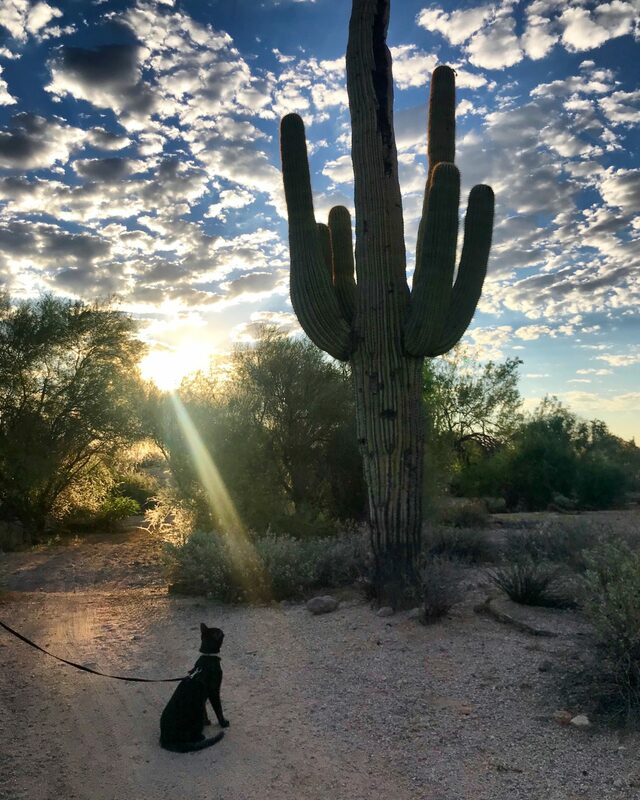 He enjoys walks outside. 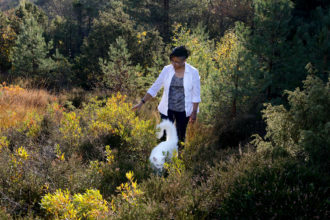 He’s quick to befriend both humans and dogs. Sounds like a cute pup you might know, right? But this is no canine — this is Cash. 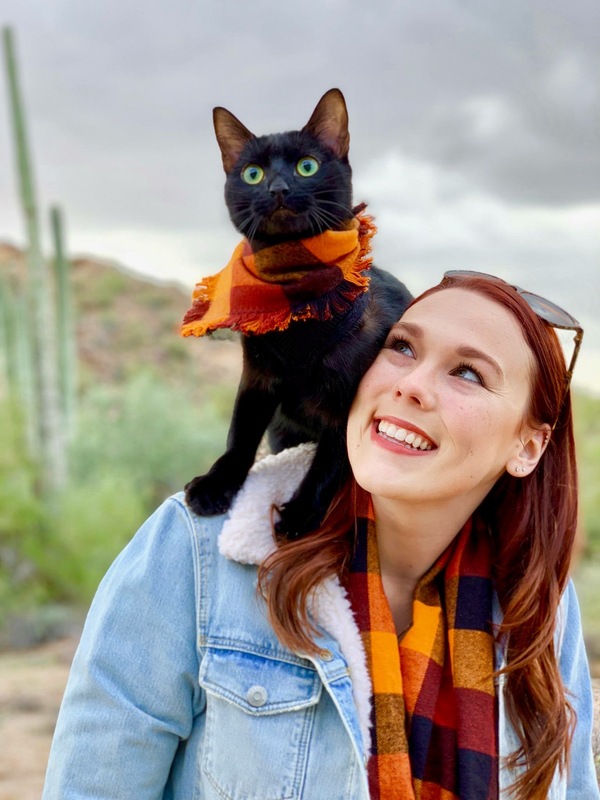 A 1-year-old black cat with a serious flair for fashion, Cash loves hiking with his human, Danielle Lauber, through Arizona and nearby states. 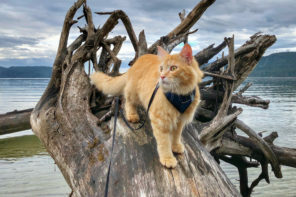 Though Cash’s interests may seem unusual for a cat, Lauber embraces his personality and highlights it on his Instagram account, where he’s won thousands of followers. 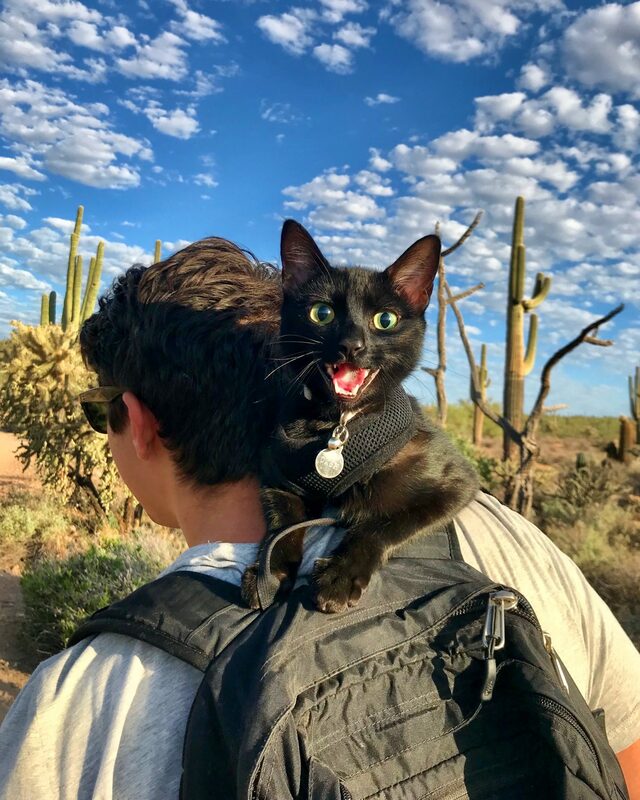 What’s more, he may just have the best handle on Instagram: @cashmeowtside. No other pet on the platform (actual dogs included) has ever packed so many irresistible puns into a name. For the record, one of Lauber’s law school friends came up with the name @cashmeowtside. 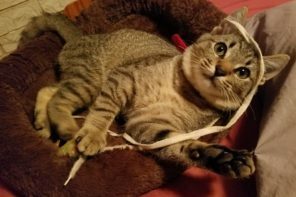 But Lauber named Cash himself after Johnny Cash, and she once dressed him in a cowboy hat to honor his namesake. “He’s my little man in black,” Lauber says. 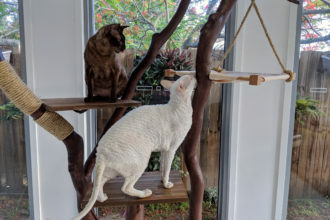 Lauber adopted Cash when she was living in California. 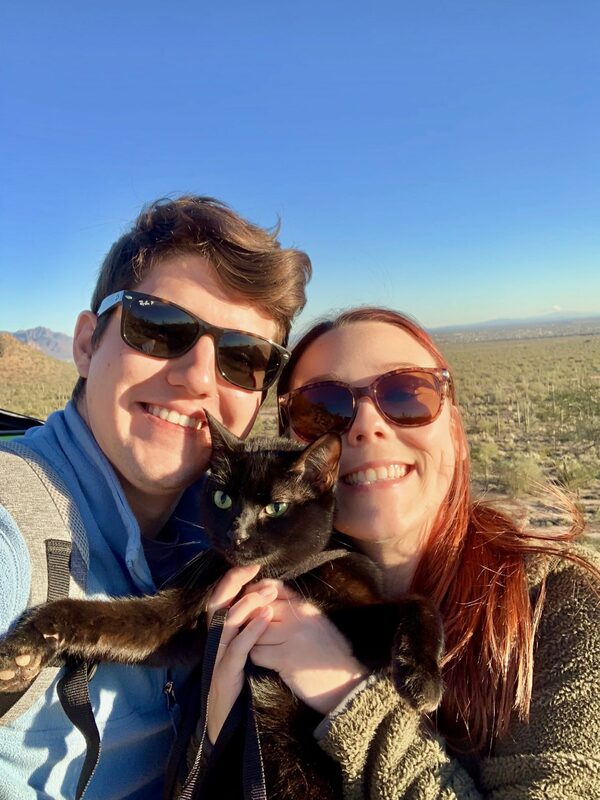 She knew she wanted a black cat, and after spying a cute one online, she went to the Yolo County Animal Services shelter to meet the kitty. 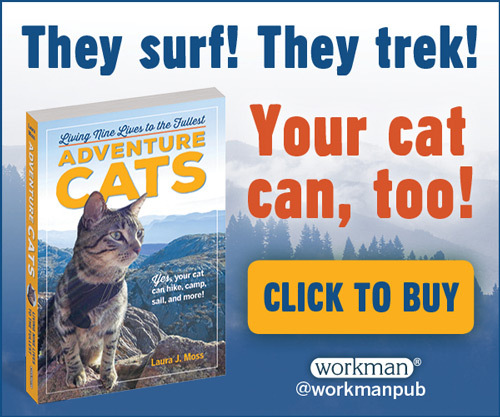 That cat was already gone by the time she arrived. 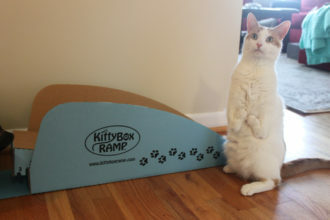 But Cash wasn’t — in fact, he was the last of his litter to be adopted. Lauber took him home. 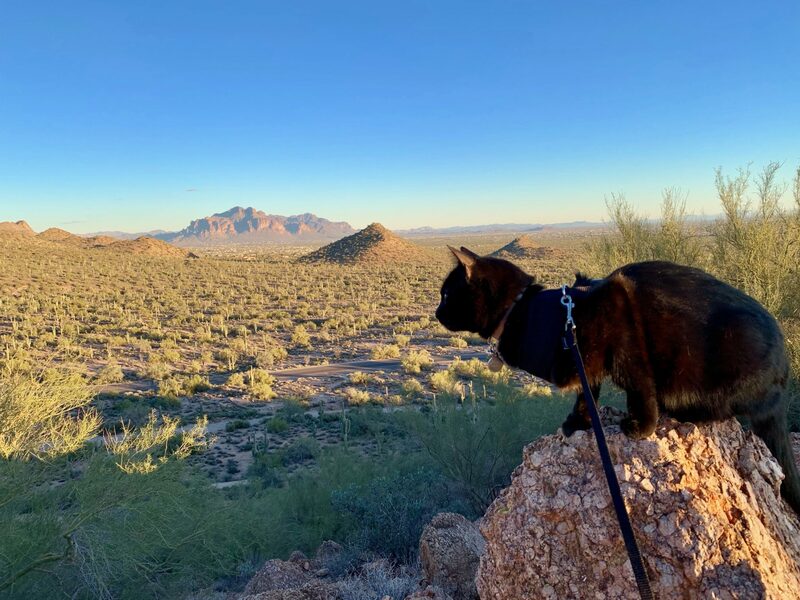 After seeing other cats go outside on leashes, Lauber wondered if she could do the same with Cash. She researched training techniques online, but when she strapped Cash into a harness, he protested. He didn’t want to move, and if he could be coerced into doing anything at all, he’d walk only backwards. 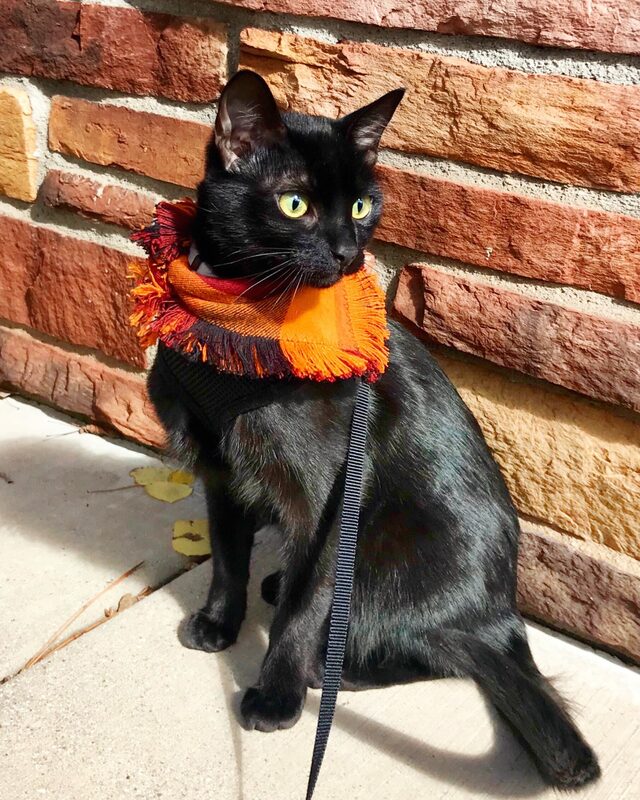 Lauber was about to give up, but she decided to try one more time by taking Cash outside in his harness. That was the magic Cash needed. 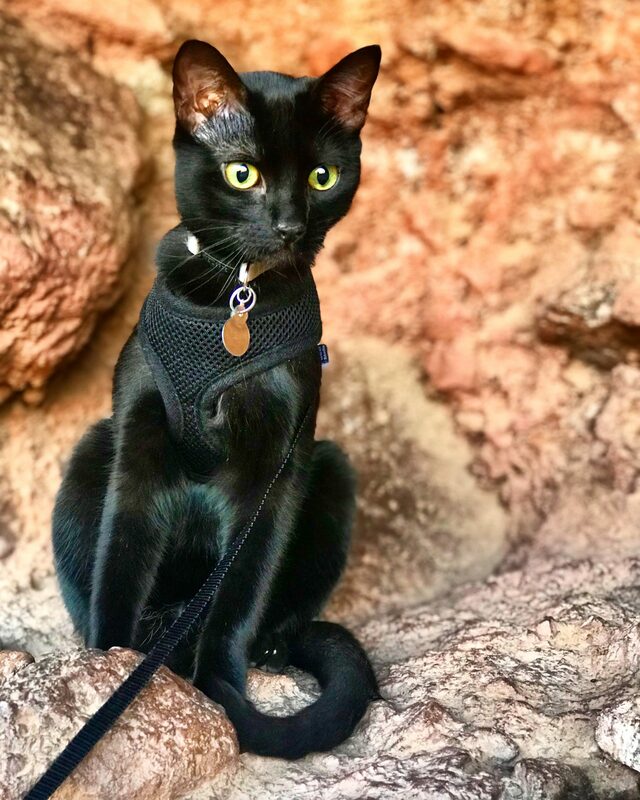 Once he realized that a harness allowed him to venture outdoors, he loved wearing it, and now he meows in excitement when he sees his harness come out. 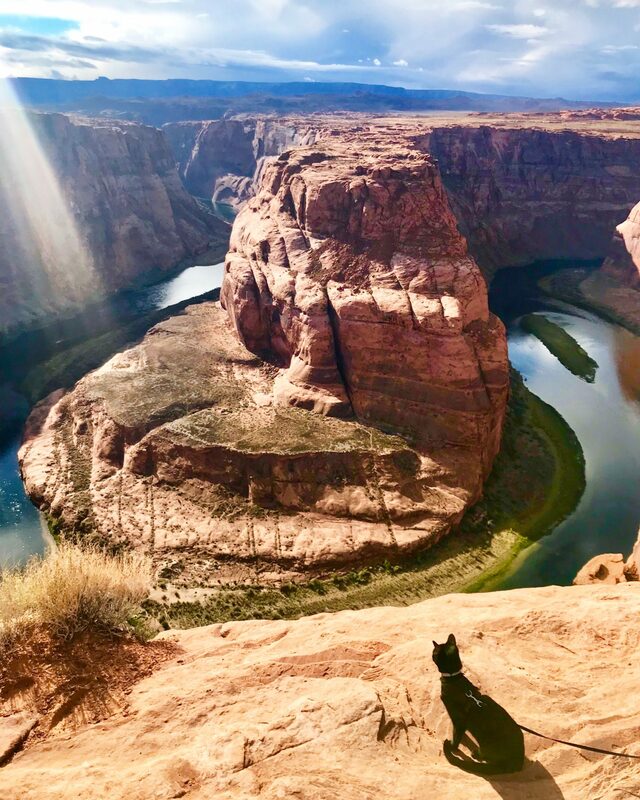 Since those early days, Cash has accompanied Lauber and her boyfriend to places like Horseshoe Bend and Zion National Park. 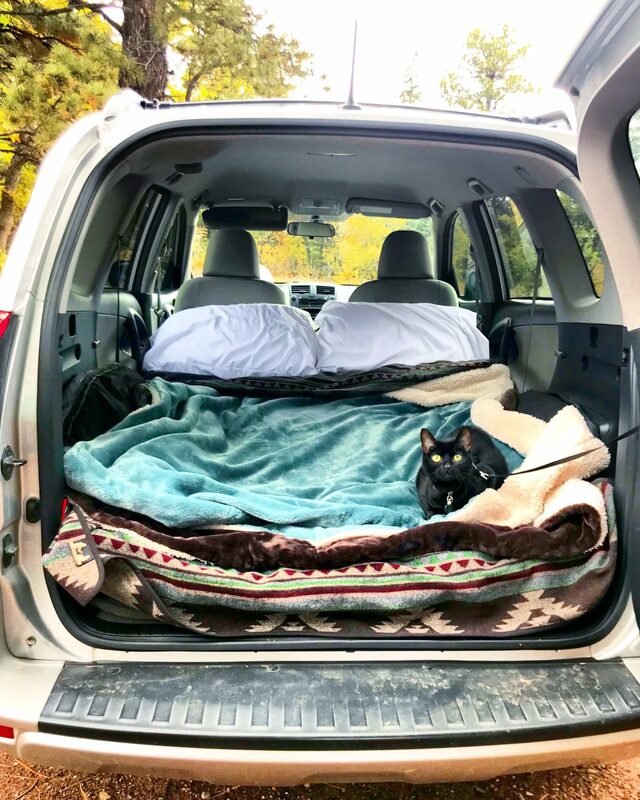 He also camps with his humans in the back of their car, an activity he’s grown to love. 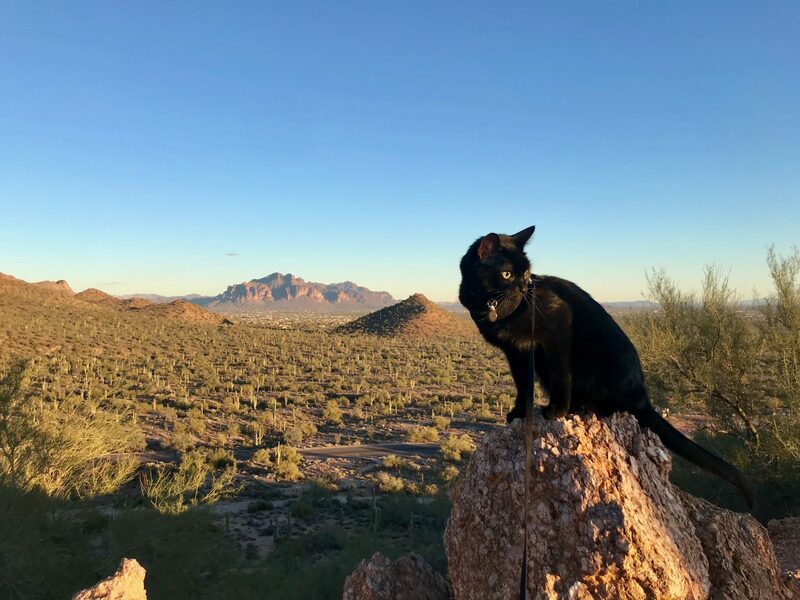 While they’re adventuring with Cash, Lauber and her boyfriend are frequently stopped by fellow hikers who are curious about the cat. 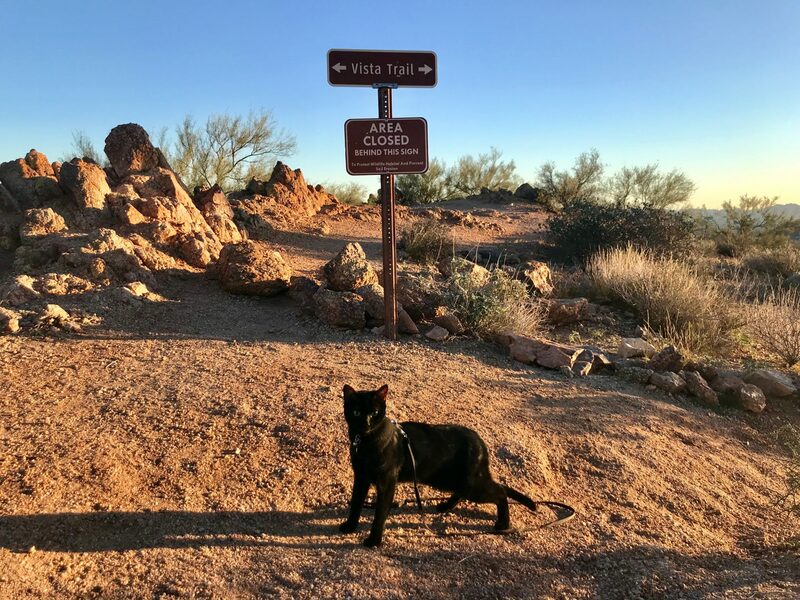 He also draws the attention of dogs, who don’t always take kindly to felines on the trail. 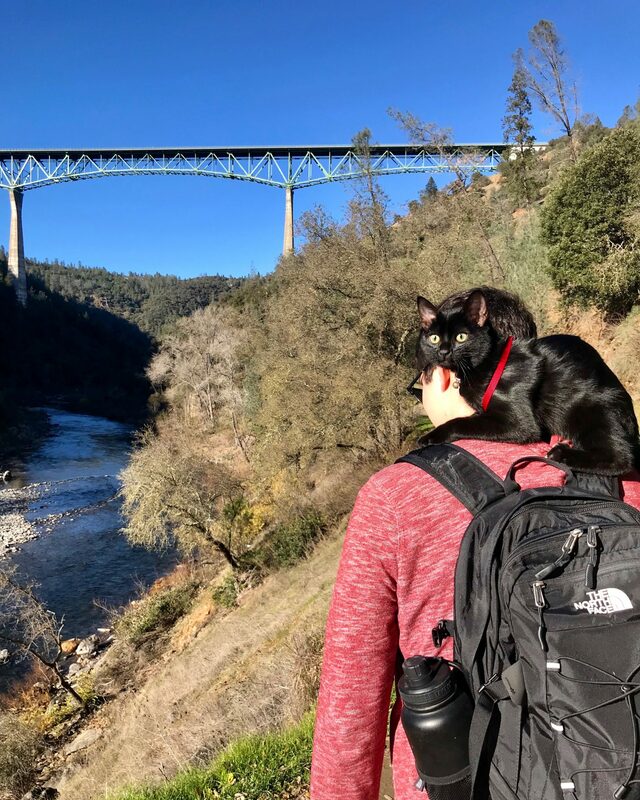 Though Cash is happy to meet dogs, Lauber always brings a cat backpack on trips so she can scoop up Cash when dogs are near. That way, the dogs don’t get upset and Cash always stays safe. 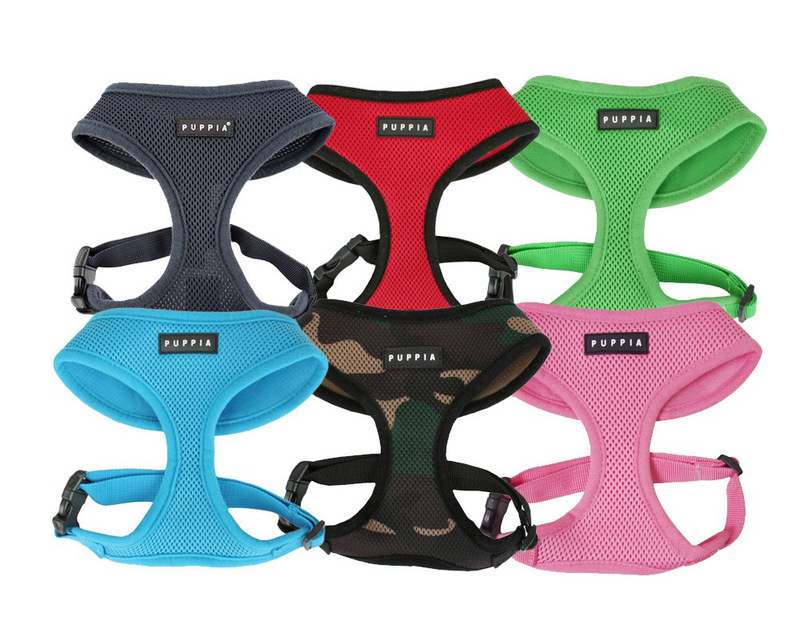 Lauber prioritizes Cash’s safety and happiness. 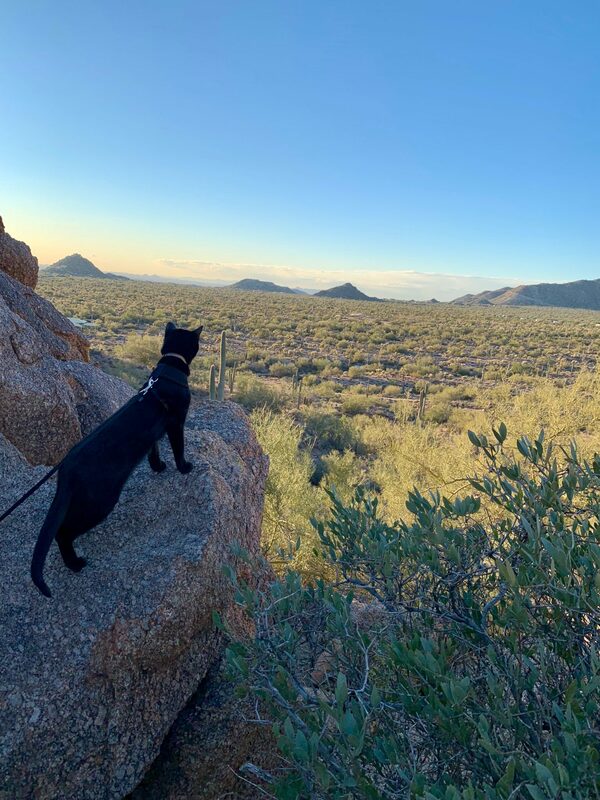 She encourages other cat owners considering leash-training to first ensure their pets are up for it. 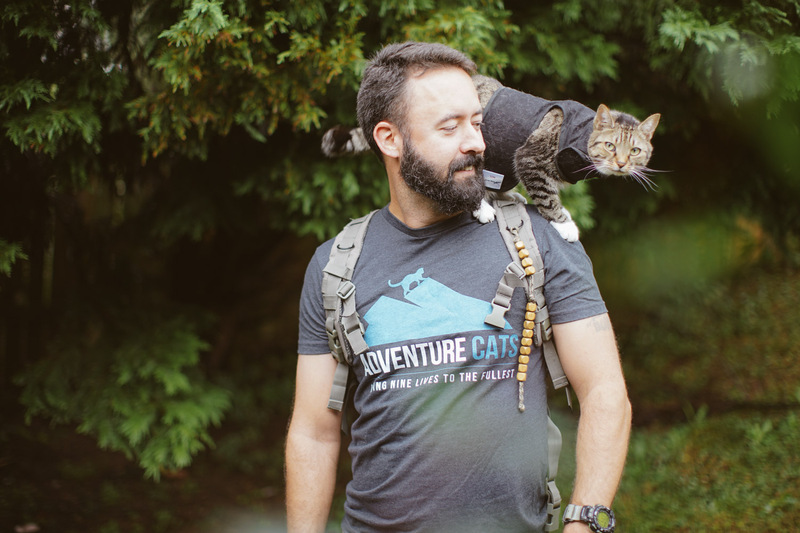 MORE: Could your cat be an adventure cat? 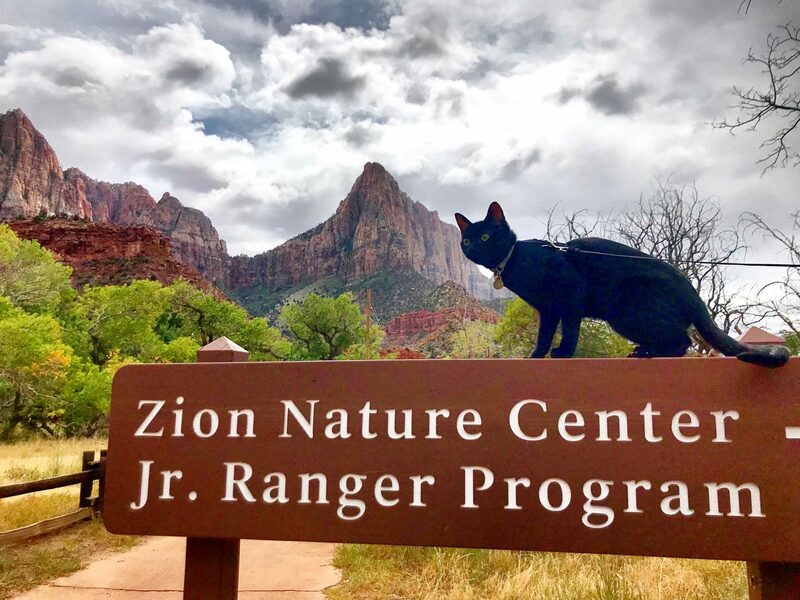 Now that Cash is an adventuring pro, he’s finding fans everywhere he goes. 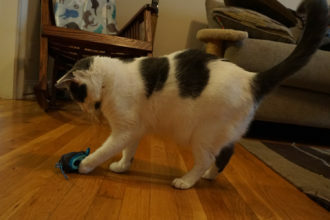 After boarding Cash at a PetSmart over the holidays, Lauber went to pick him up. The employee handing Cash back to her looked at him, and her eyes widened. “Are you the @cashmeowtside?” she asked. 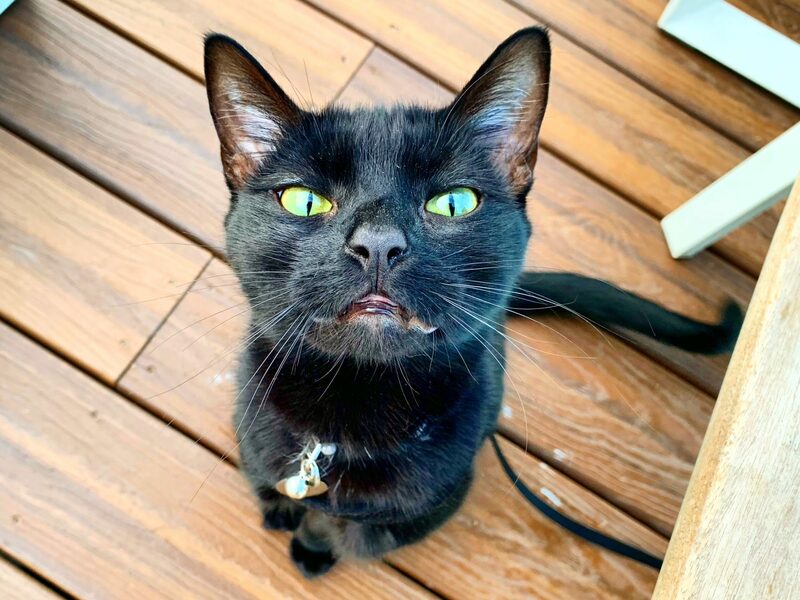 With such a fervent fan base, Lauber also receives plenty of messages on Instagram asking how she grew Cash’s account and keeps followers engaged. 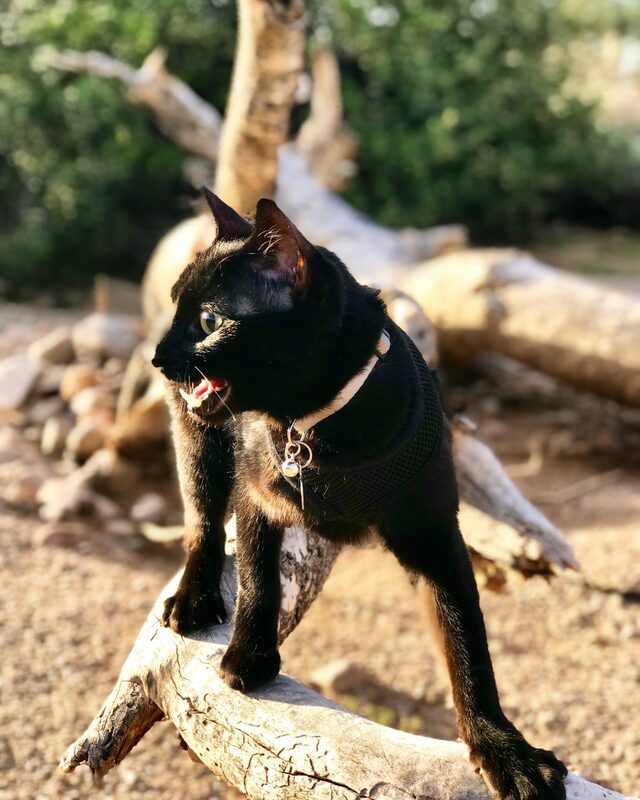 Scroll through the gallery at the top to see more photos of Cash, and keep up with all his ameowzing adventures on Instagram.